You are at least 15 years old – This is the minimum age for patients to undergo rhinoplasty since the face is still developing prior to this age. You are looking to improve your appearance – Rhinoplasty is a good choice for those looking to improve their appearance, through a subtle change or something more dramatic. You have realistic expectations – The ideal nose surgery patient has very realistic expectations about the outcome of their procedure. One of the most common procedures at CosmetiCare in Orange County is rhinoplasty, also known as nose surgery. 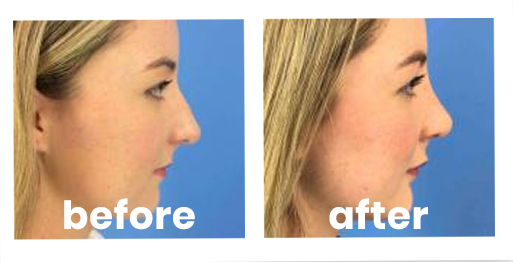 Patients choose rhinoplasty to reshape their nose, creating a more balanced appearance and increased facial harmony. At the Newport Beach and Long Beach locations of CosmetiCare, our plastic surgery specialists understand that achieving the look you want can help you live the life you want. Learn more when you request a consultation with one of our board certified plastic surgeons. Rhinoplasty is performed to change an undesirable shape, correct birth defects, repair an injury or help relieve breathing problems. There are many reasons given by patients for wanting to improve their nose. Whether the nose is too wide, has a bump on the bridge, the nostrils are too large or the tip is too long or hooked, your surgeon will be able to assist you in determining the most realistic approach and help you achieve the best possible outcome. Every nose is different and cannot be duplicated to look like anyone else’s nose. Realistic expectations are key to a positive outcome and your surgeon will discuss any and all limitations he or she may have with your individual nose. Our Newport Beach rhinoplasty procedures also can be performed in conjunction with nasal septal repair in a procedure known as septoplasty. Patients who have experienced years of breathing problems, chronic sinus infections or headaches due to build up of nasal congestion or those who have a deviated septum as a result of injury may require nasal septal repair to correct these conditions. Sometimes, a rhinoplasty is performed in conjunction with chin or cheek implants in order to maintain pleasing facial proportions. During the first few days, your face may feel puffy and your nose will ache. Patients are encouraged to stay in bed with their head elevated during the first day. Swelling and bruising around the eyes in the first few days is normal. Cold compresses can help reduce the swelling. Bruising should disappear within two weeks. Most patients are out of bed within two days and able to return to school or work within a week. After one week all dressings, splints and stitches will be removed. Activity should be limited for the first 3 weeks as recovery continues. After that time, you may resume regular activities. You should avoid rubbing your nose, blowing your nose, or sun exposure, for 1 to 2 months. Final results may take up to a year to be fully revealed and your results will be permanent (though in some instances age can chance nose appearance). If you would like to know more about CosmetiCare’s rhinoplasty options, look through our rhinoplasty FAQs to learn more. Of course, if you still have questions, we are happy to help you get the answers you need. Get in touch with us to schedule a consultation for more information. 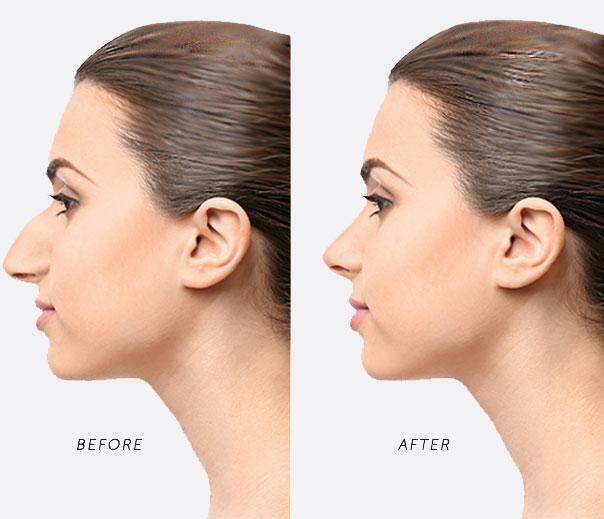 Request a consultation online to learn more or to schedule your rhinoplasty in Orange County. You can also contact us at 949-718-6900. With convenient locations in Long Beach and Newport Beach, CosmetiCare makes it easy to look your best in Southern California.